What Is Shabby Chic Style? A shabby chic look is a design and style that effortlessly results in decorating on a budget. 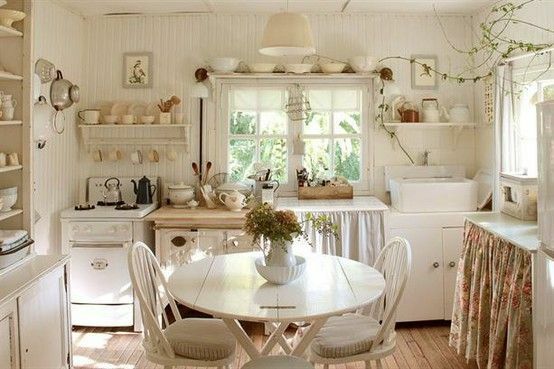 It is because the Shabby Chic look is dependant on making use of furniture that are comfortable, time-worn, and in keeping with simple and practical living. In choosing shabby chic décor determine the reason they’ll serve and what space they’ll be going into. Below are a few tips when choosing a few shabby chic décor for your space. Painted Walls: Deciding on the paint for the project is also very easy. White is often your best bet, nevertheless light blues as well as other colors work nicely also. If you are intending to do a whole room in the style, then select a color that wont wear on your eyes after a while. Making use of color on the walls in a dramatic and unpredicted way can instantly transform the space. Printed Fabrics: Shabby chic depends heavily on fabric to give the opulent look. Items look like they are overdone in fabric however in a neat way, The fabrics mainly used are cotton, linen and denim. These are either plain solid color and have a distinctive print or design. A ruffled, rumpled elegance is characteristic of this timeless style of decorating. Painted Furniture: Painted furniture is an additional important element in a Shabby Chic interior. Furniture can be bought at local flea markets and garages sales, and then painted for that old but loved look. Including paint to an item of furniture provides a clean appearance, and painting several items all one color (typically white in Shabby Chic) gives unmatched furniture a peek of an imperfectly matched set. Flowers: A huge thing that lots of overlook with a shabby chic space is flowers. Living flowers are a fantastic way not only to make a space smell better, but also feel better. Moreover, one can select various flowers which can add into their theme. Roses are a good flower to incorporate into the princess feel, while sunflowers work well with the eclectic feel. These live flowers are a great way to add comfort to the space, as many feel more welcome in a space that includes these natural elements. Unique Lighting: Lighting is another area where one can be a little creative. Antique looking chandeliers and candle holders are fantastic within this decor. Lamp shades are often adorned with glass or crystal beads in which enhance the antique look. Painted shades are great also. Anything that seems to be if it came from another era is what you’re striving for. The shabby chic style of home decor is here to remain for quite a while. Whether it is just one piece of furniture, a whole room, or a house-wide theme, the shabby interior design style with its deeply rooted history, will certainly make a statement at home.